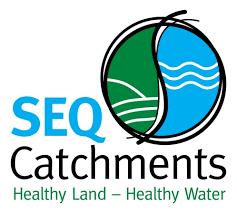 The South East Queensland Catchments Members Association (SEQCMA) is an alliance between community, government and industry focused on finding solutions to issues affecting South East Queensland’s environment. SEQCMA is an owner/member of Healthy Land and Water and works closely with our project teams to identify and develop solutions that build resilience into our landscapes and waterways. The association’s purpose is to bring many elements of the community together as one loud voice in the fight to improve and protect our lands, forests, bushland, waterways, wetlands and coastal regions. With over 200 members, SEQCMA is uniquely placed to effect meaningful change. Members include catchment and landcare groups, agriculture, tourism and local government bodies, Traditional Owners and community members. SEQCMA members have a say on management planning, prioritisation of activity and funding of projects in order to meet the long-term targets detailed in the SEQ Natural Resource Management Plan 2009-2031.